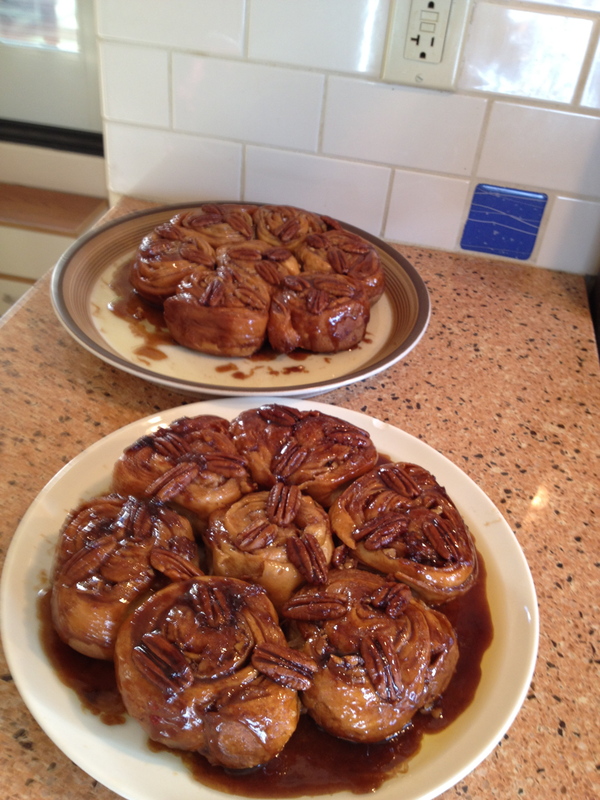 A Pecan Sticky Bun by any other recipe is merely a cinnamon roll! I’ve made this brioche recipe before, and frankly had difficulty with it. Thought I was having the same issue – again – my dough wasn’t cool to the touch after incorporating the butter, it didn’t seem to rise as the recipe implied it would, etc. But, I stuck it out. (My mantra: trust the recipe, trust the recipe…) I also thought my daubing of the butter for the layers didn’t seem correct, but (trust the recipe, trust the recipe…) I decided that baking them in a 1/2 cup of butter and 1/2 cup of brown sugar could only make an absolute disaster palatable, so proceeded. The result? FABULOUS! My only regret is that it’s just my husband and me, alone, with fourteen sticky buns! (The neighbors all seem to be gone for Mother’s Day.) I try to give unbaked cinnamon rolls with baking directions as gifts for Christmas morning to friends who come to our annual Christmas Eve open house. I just got a new version! Anyone up for trying a puff pastry? 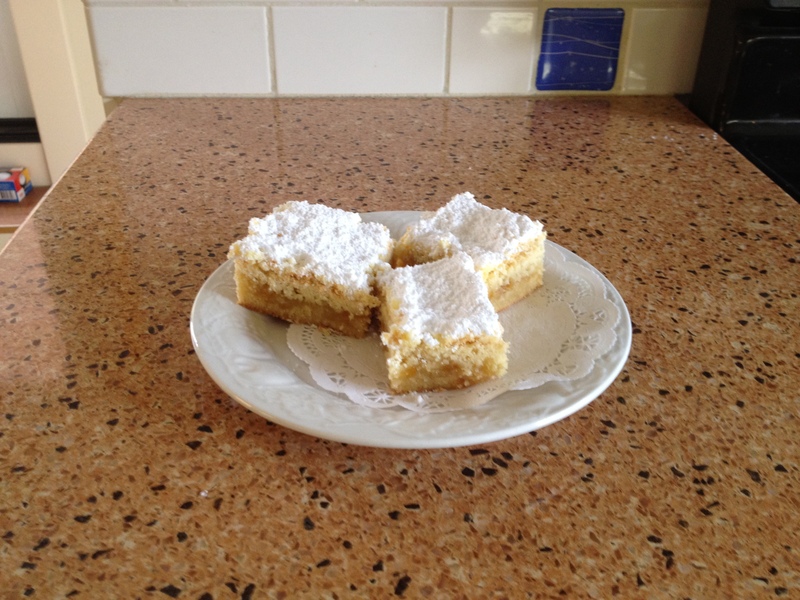 I’ve made shortbread many times (from many different recipes) but never using a box grater! And, I’ve never made a ‘filled’ shortbread! They were very tasty, relatively easy (though, I’d like to try the recipe by merely pressing them into a pan rather than using the grater – seemed a little more work than necessary), but I did really love the inclusion of a preserve (I used homemade peach preserves from a dear friend of mine).